Janet Volpe was born and raised in Santa Cruz. After graduating from UC Santa Barbara with a BA in Biology, she attended Tufts University School of Medicine where she received her combined MD and Master of Public Health degrees, emphasizing in health promotion and disease prevention. She completed her Pediatric Internship and Residency at Stanford University. She spent the next 10 years as a conventional primary care pediatrician before becoming medical director of a pediatric urgent care center in the Santa Clara Valley. It was in this position that she began to witness first hand the statistically significant rise in this country of childhood chronic illnesses including asthma, allergies, eczema, mood disorders, autism, diabetes, and obesity. The tools taught to her by conventional medicine training could often ease the symptoms, but were not enough to address the root causes of these conditions. At this same time in her career, she was spending 2 to 4 weeks a year as a volunteer pediatrician with a surgical team that provided reconstructive surgeries to children in need from rural parts of Africa, India, South America and Southeast Asia. She noticed they were not suffering from the chronic maladies affecting our children back in the US. In her quest to learn how to better serve her patients here at home, she began studying with the Institute for Functional Medicine, the Center for Mind Body Medicine, HeartMath Institute and the American Board of Integrative Holistic Medicine. In 2014, she became board certified in Integrative and Holistic Medicine and started a part time integrative pediatric consultative practice in the Santa Clara Valley. 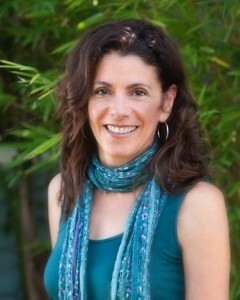 She is happy to be back in Santa Cruz where her integrative practice takes a holistic approach to serving her pediatric patients, recognizing that each person is individually unique. In her one hour initial consultations with patients, she considers the factors involved in achieving optimal health, including diet, sleep, stress and relaxation, environmental influences, community and genetics. She follows an evidence based scientific approach using knowledge from conventional medicine and integrating disciplines of biologically-based practices including global medical modalities; functional medicine; mindfulness; and body-based practices. She partners with her patients and their families to develop individualized treatment plans for a variety of chronic conditions, which include educating and empowering her patients with the concept of the body’s resilience and self-healing capacity. Janet continues to be moved by how much she is learning from her patients as they navigate their way through their unique healing journeys. She is very excited to be practicing integrative and holistic medicine at a time when scientific evidence is exploding with research on so many relevant subjects, including the role of inflammation in chronic disease, the gut-brain connection, the Human Genome Project, the Human Microbiome Project, self-regulation and pain reduction, importance of proper sleep hygiene, benefits of exercise, and the role of environmental toxins in disease. For more information about Janet, including scheduling an appointment, please visit janetvolpemd.com.